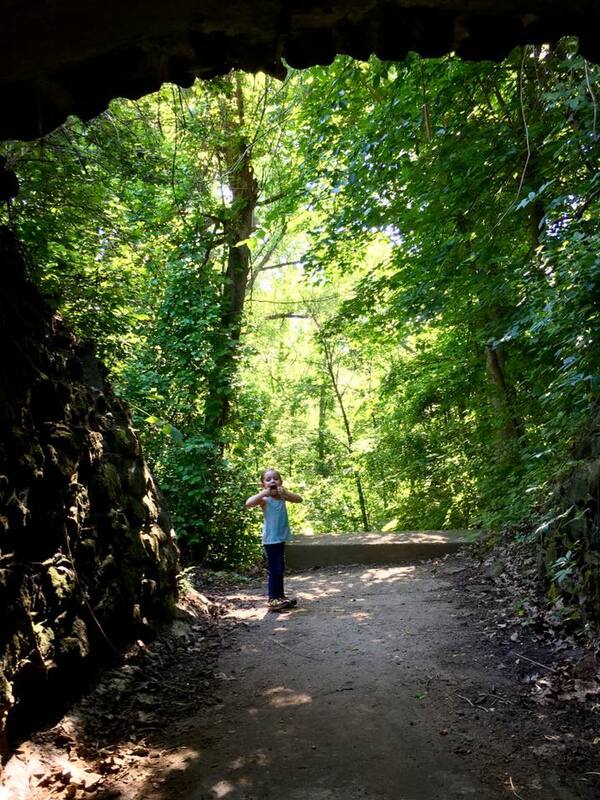 Hogsback Nature Trail is a perfect dirt trail for kids because it is only 0.3 miles long before it connects back to the paved recreation trail. 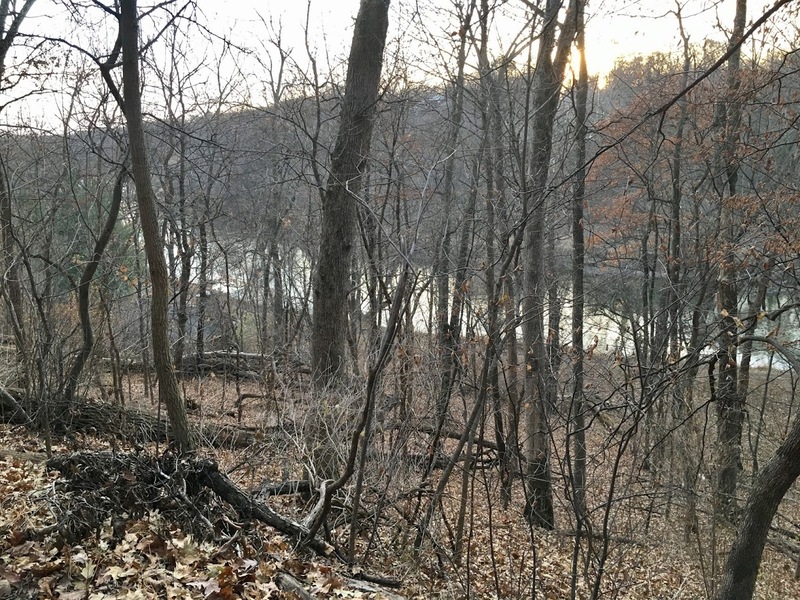 The trail is elevated and gives you a sense of floating above the state park as you look down upon the Iowa River and the lower Wildcat Trail below. 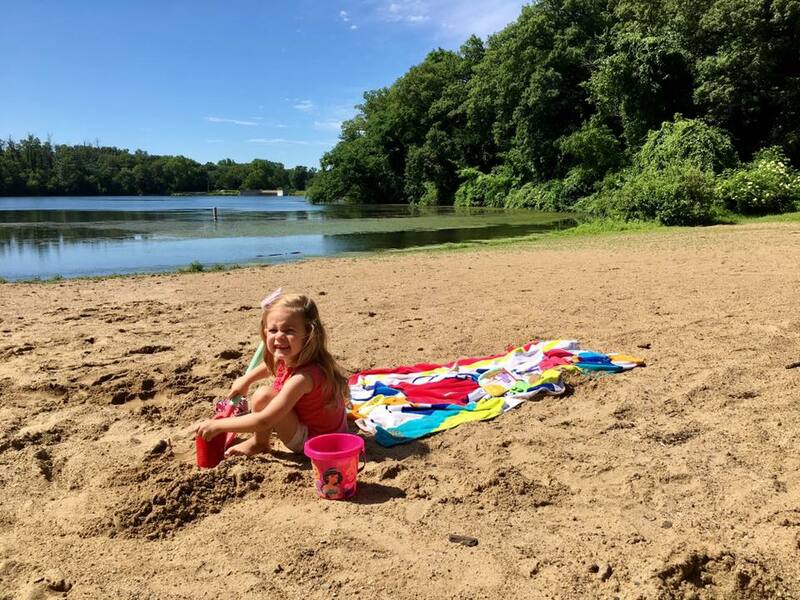 After crossing the highway onto the paved portion of the trail, you get to enjoy views of Lower Pine Lake before coming to the beach area, which makes a nice spot to sit and play in the sand or have a snack in the shelter. 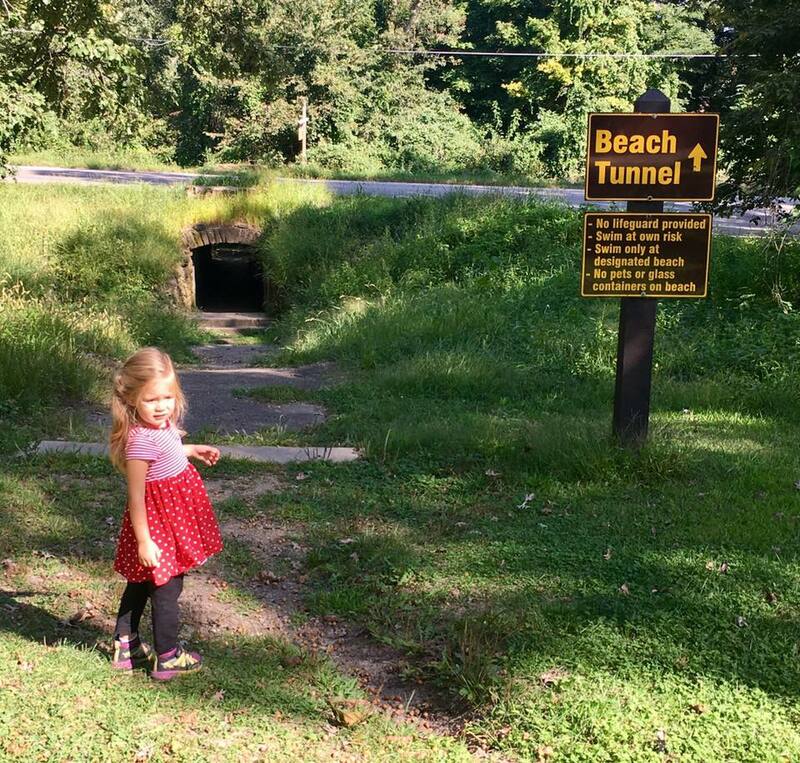 Afterwards, you get to walk up into the woods and go through the Beach Tunnel under the highway to get back to the parking area by the trailhead, which is always a favorite for the kids who love to hear themselves ECHO in the tunnel. The trail head is just off the Hogsback Picnic Area, which provides shaded picnic tables and a grass parking area. 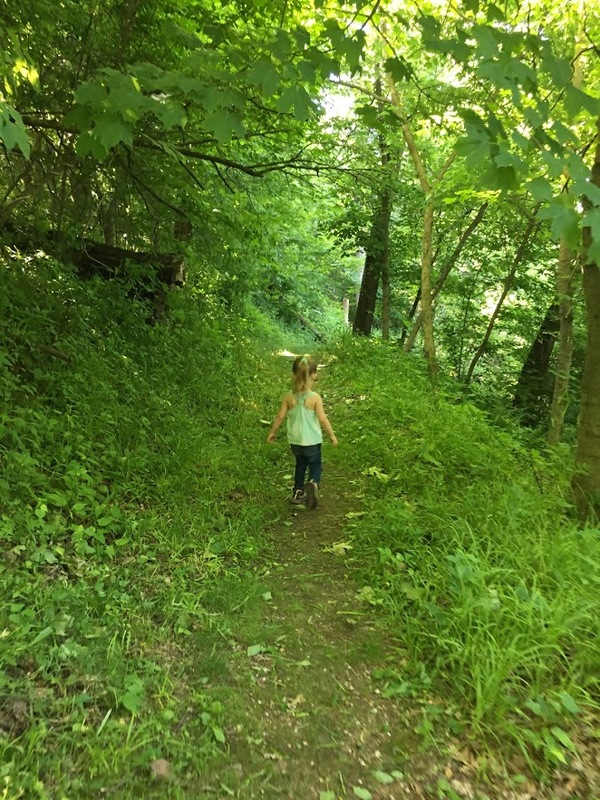 Most of the hike is shaded as you are enveloped by trees and wildlife; we’ve seen many whitetail deer along this trail! 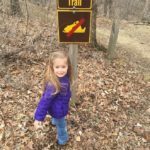 My name is Nicole Low and I am the ambassador for Hike it Baby Eldora in North Central Iowa. 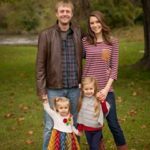 I am a stay at home mom to my two little hiking princesses, Emma Grace (4) and Adia Elizabeth (2), and I work occasionally as a Labor/Delivery Nurse. 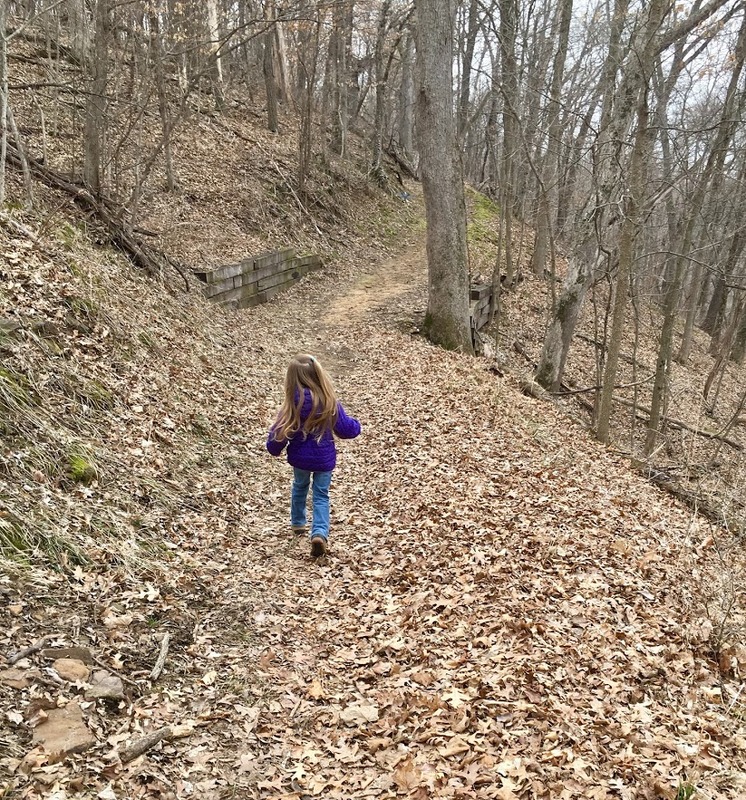 We’ve been hiking with HiB since 2015 and loved the community it gave us in Des Moines so much, I decided to head up a branch in the small town of Eldora after moving here. 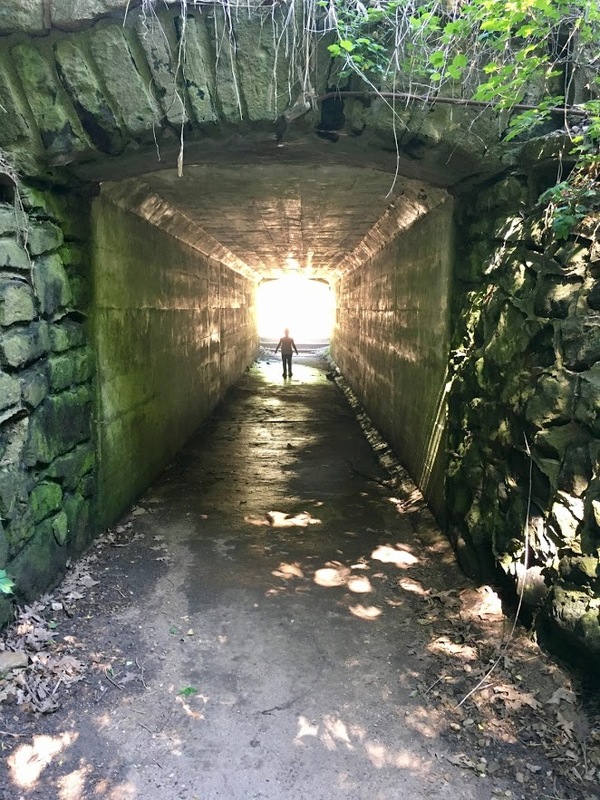 Despite its small population size, Eldora boasts a lot of wonderful hiking areas, including the beautiful Pine Lake State Park.